Making a trip to the Emergency Room, hospital or physicians office is stressful enough for healthy individuals, let alone seniors with multiple chronic conditions. Appointments often require a family member or caregiver to take off work, and pose a potential injury risk. Follow-up scheduling can also be an issue as many primary care offices are very busy. As a result of these challenges, patients and family members often wait for serious events to occur before seeking care. Having quality care in the safety and comfort of home eases this stress. Our ability to conduct tests and follow-ups at home saves the back and forth trips and coordinating appointments. If physician specialists or office-based tests are required, our staff helps to make the referrals and schedule appointments. We Provide Medical house calls with care and compassion reminiscent of the “Golden Age” of medicine but using 21st century medical and technological advances to treat patients in the comfort of their own residence. With our personalized physician home visit service. 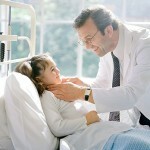 You will get an access to a board certified compassionate doctor who will make the house call visits. You will enjoy the convenience of having a physician come to your house. You will avoid unnecessary hospital and ER visits, admissions and re-admissions. You will receive care at your convenient time with prior arrangements made between you and your personal physician. You will not feel rushed. On average, 30 to 60 minutes of face-to-face time with your doctor. Your doctor will make sure that your health issues/concerns and your questions are all addressed. No wasted time setting up transportation to and from the doctor’s office. No wasted time sitting in a crowded waiting room. We work in conjunction with existing primary care physicians who cannot reach their patients. Scheduling care is flexible. No long-term contracts. Affordable hourly rates! Service available at private residence, senior living community, skilled nursing facility or hospital. NOVA House Call MD is a Member of:American Academy of Home Care Physicians. Our Relay TTY Number (571) 297-2193.